Our OB chute allows us to perform C-sections and pull calves in a clean, warm environment. 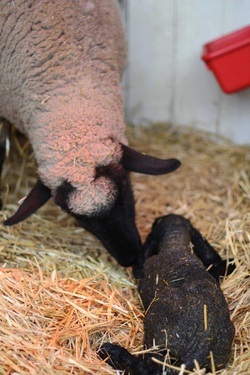 We also have availble all the medications we might need for a distressed newborn calf. 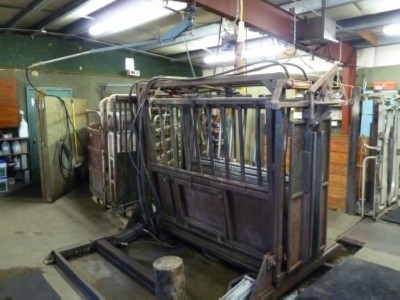 This hydraulic chute is used by several hundred bulls each spring as we perform breeding soundess examinations in preparation for the upcoming breeding season. The chute allows cattle as large as 2500 pounds to be safely examined and treated. It also tips over to allow us to examine, trim and treat various conditions of the feet and lower body.